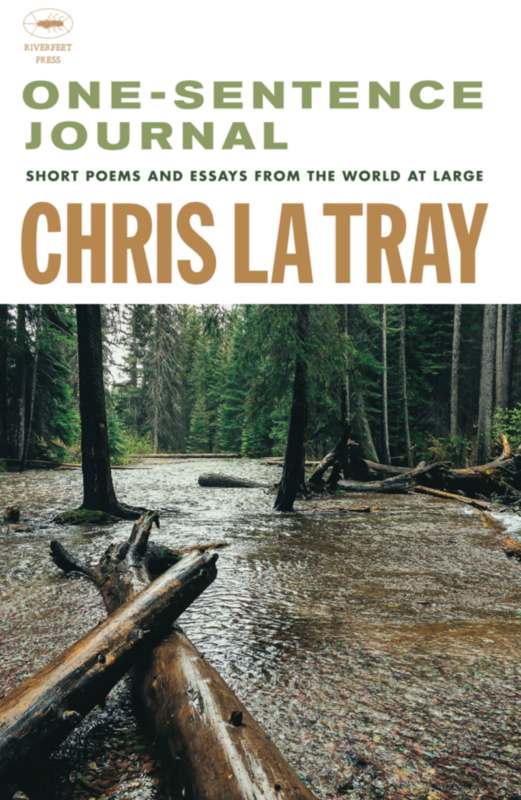 The following highlights are from a conversation with Chris La Tray about his book, "One-Sentence Journal: Short Poems and Essays from the World at Large." To hear the full conversation, click the link above or subscribe to our podcast. Sarah Aronson: How have you thrown away your life? Chris La Tray: How have I thrown away my life? Thirteen years of my old job in a lot of ways was a throwaway. Doing meaningless work for people . . . I mean my employers were okay but most of the people I worked on behalf of, like going into manufacturing facilities. . . it was a waste of time. I wasn’t doing anything to better the world. So you were at this job, doing something. . . paper pushing, traveling? I was a manufacturing consultant. There was some paper pushing in the form of technical writing where I was writing manuals for people as well as hands on technical stuff. Yeah, and a lot of travel. And then you started writing these one-sentences? Mmmhmm. That was just an exercise in wanting to write more. The idea of writers needing to keep a journal--that’s one of those things with a capital “T"--that writers are supposed to do, and I was terrible at it. But I thought, you know, I carry these little Field Notes notebooks and I use them for work, then by accident one day I just wrote something down. Then somewhere I stumbled across the one-sentence journal as a daily practice. Sentences are the bread and butter of a writer, and if you’re even going so far as to practice writing one good sentence—and they’re not all good—I felt like that was doing something that I could do anywhere. At your book release, you were reading other people’s work—Ted Kooser, Jim Harrison, and Melissa Mylchreest—why that instinct? I come, primarily, from a rock and roll background. When I was in high school, I was going to become a rock star and my friends and I moved to Seattle. I was going to write books on the side. Now it’s kind of flip-flopped; I still play loud rock music but that’s become the side thing. We’ve never been a cover band, yet, depending on how long our set is, we’ll drop one or two covers from other bands that are influences in one way or another. Why shouldn’t we? If this book exists because of the work of Jim Harrison and a book that Harrison and Ted Kooser did together, specifically, why not cover their work a little bit when I’m doing my own thing? That’s what it’s totally based on. I also noticed in the book it’s very generous in its acknowledgments. You really pay mind at the beginning and end of the book to honor where you’ve come from and who’s helped you. Why lend a hand like that? I wouldn’t be doing what I’m doing without these people that I acknowledge. I don’t consider what I’m doing to be original at all, other than they’re my own thoughts. I think my book is a weird hybrid that you don’t see much—hopefully that will change. I’m not doing anything original. I’m doing my best to do what I’m doing well, but it’s all. . . whether you want to refer to it as ‘trails having already been blazed,’ or ‘standing on the shoulders of giants’. . . whatever metaphor you want to use, that’s what I’m doing. An intimate journal of essays interspersed with seasonal American Haiku puts the reader in the center of a man’s introspection and study: nature and people — the stories of his landscape, reflections on family, dogs and work all told in a familiar voice, the voice of a friend, which you can hear clearly in your mind. Like I was riding in his truck looking at the river changing and remaining while he regales me with his language. Chris La Tray is a writer, a walker, and a photographer. His freelance writing and/or photography has appeared in various regional and national publications. 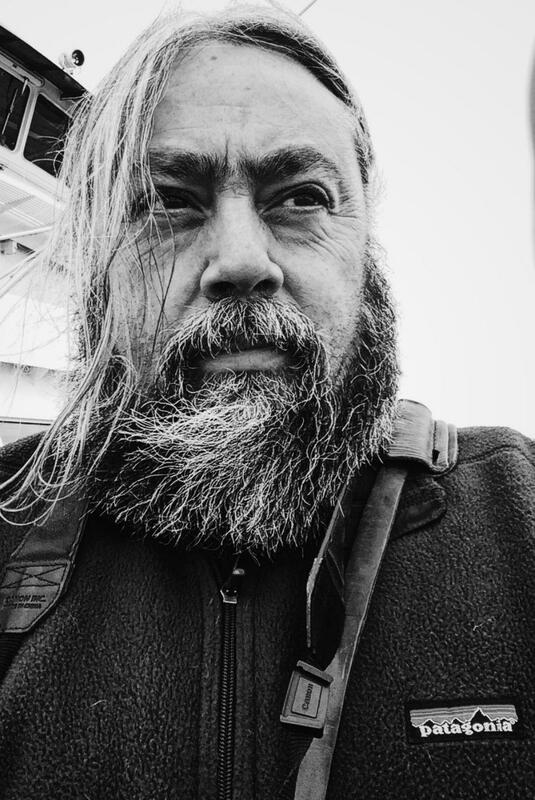 His first book, One-Sentence Journal: Short Poems and Essays From the World at Large, was published in August by Riverfeet Press (Livingston, MT). Chris is Chippewa-Cree Métis, and is an enrolled member of the Little Shell Tribe of Chippewa Indians. He lives in Missoula, MT.